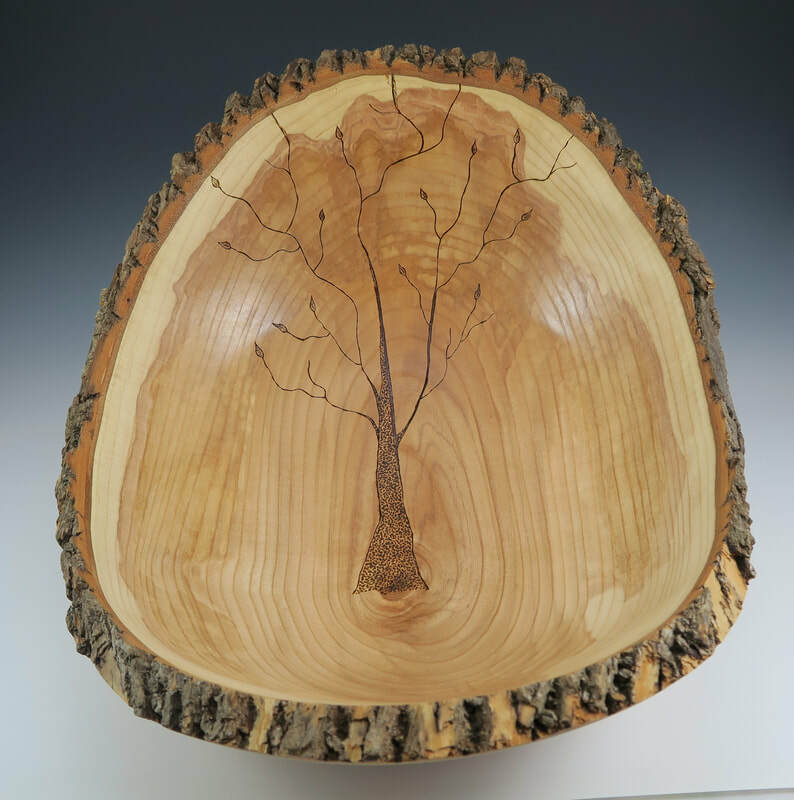 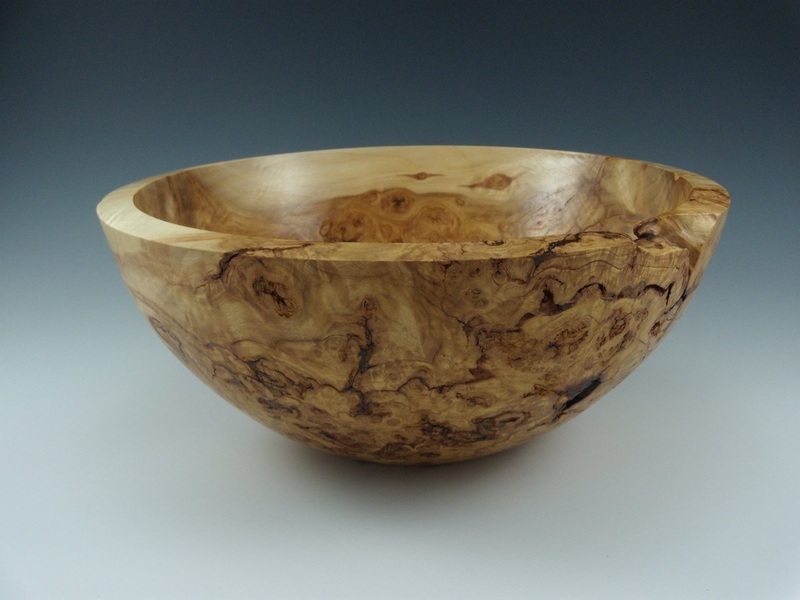 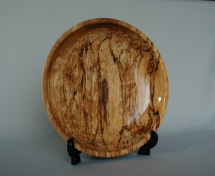 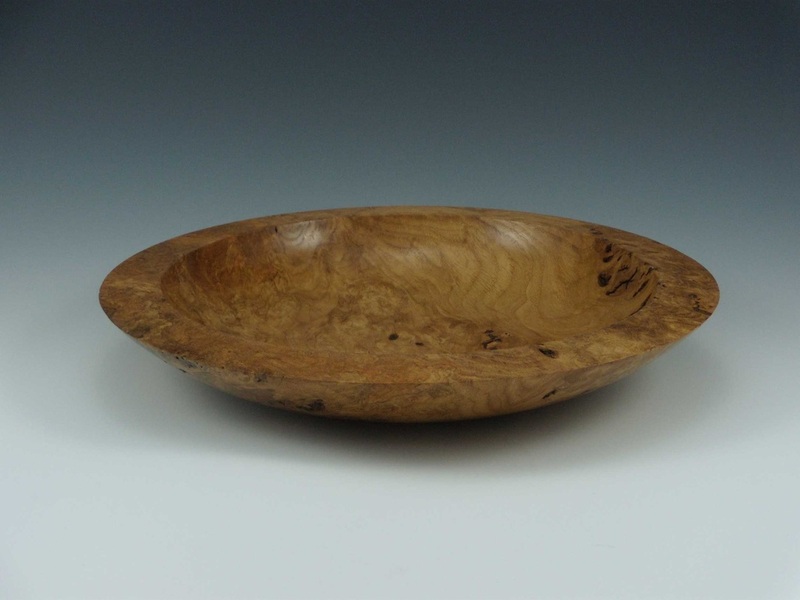 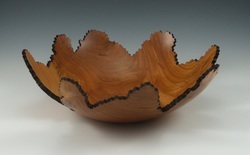 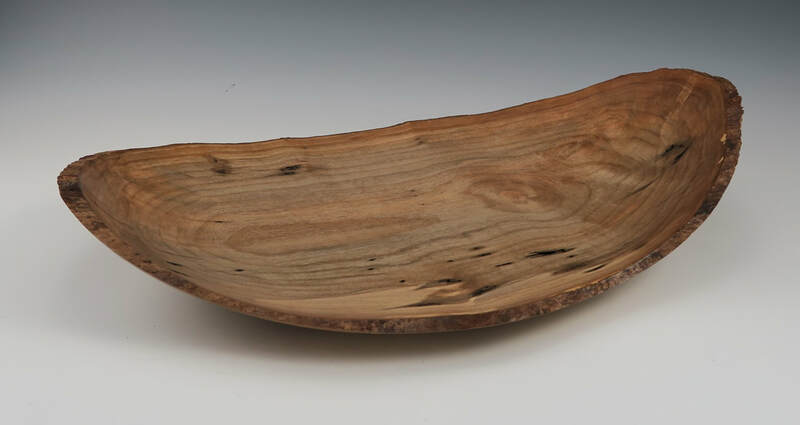 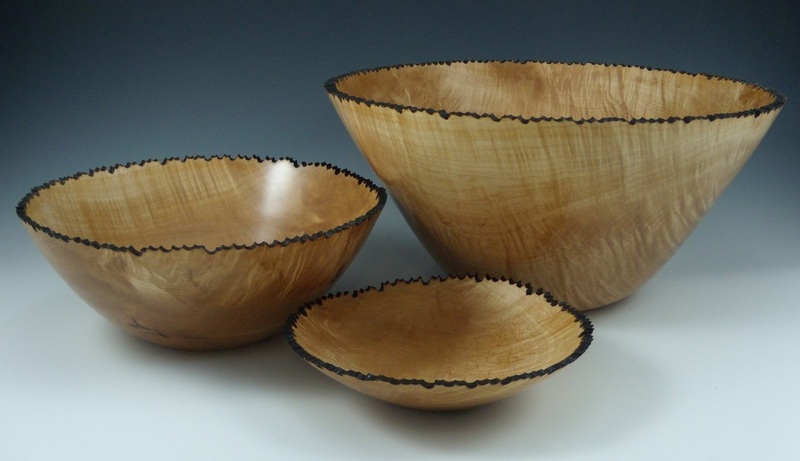 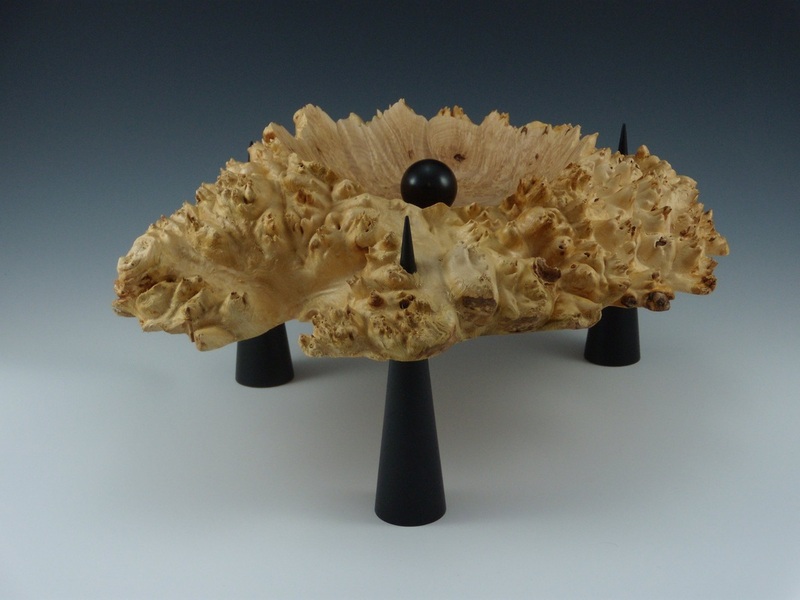 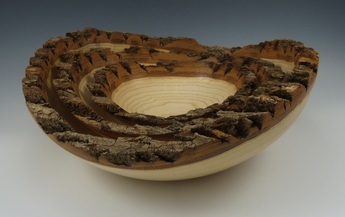 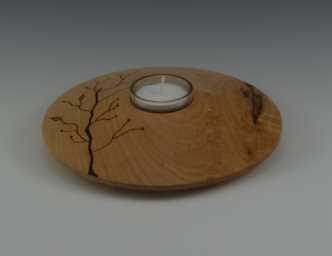 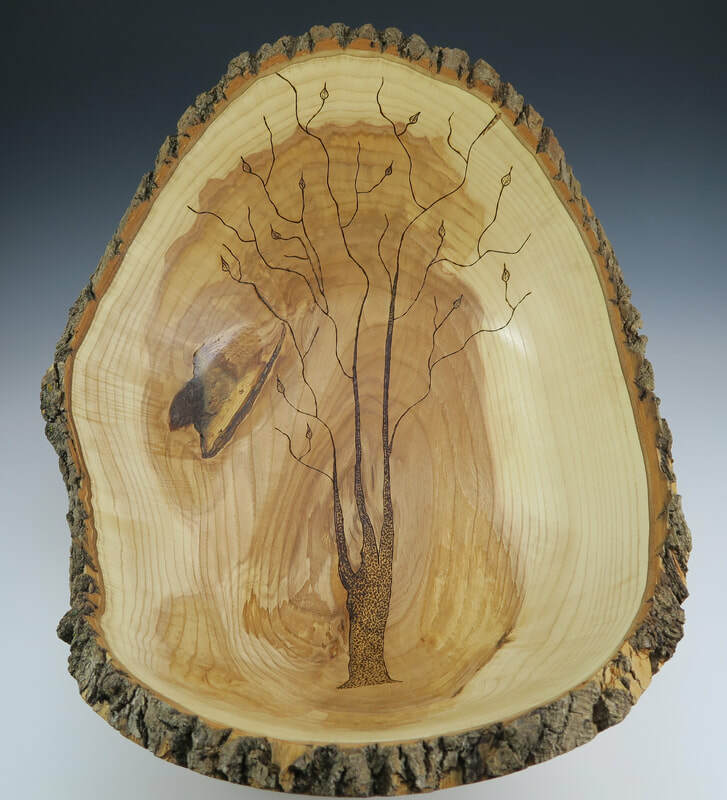 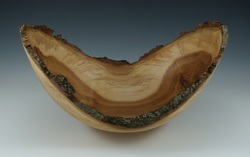 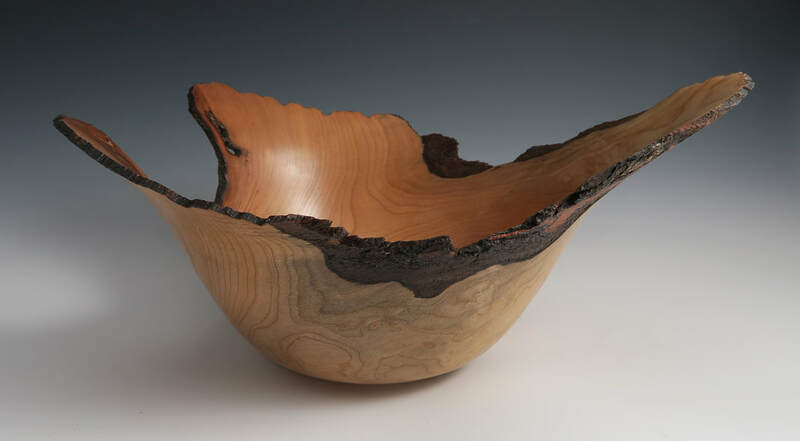 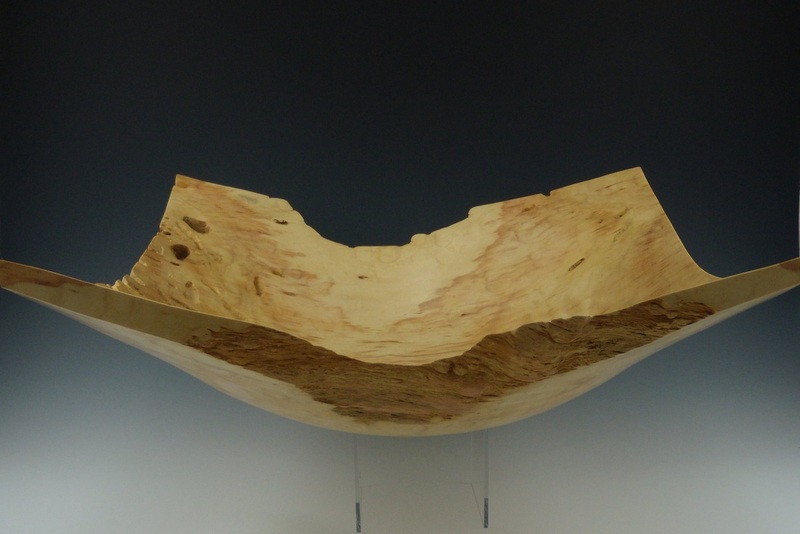 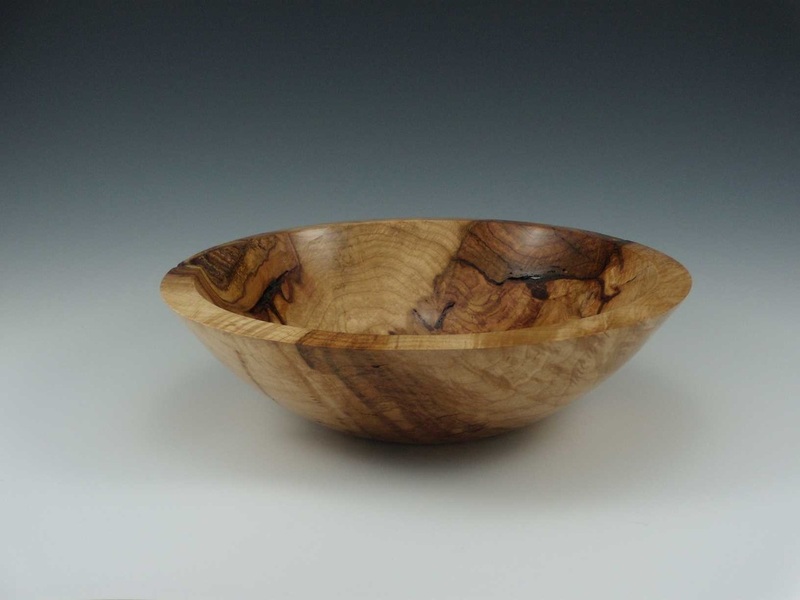 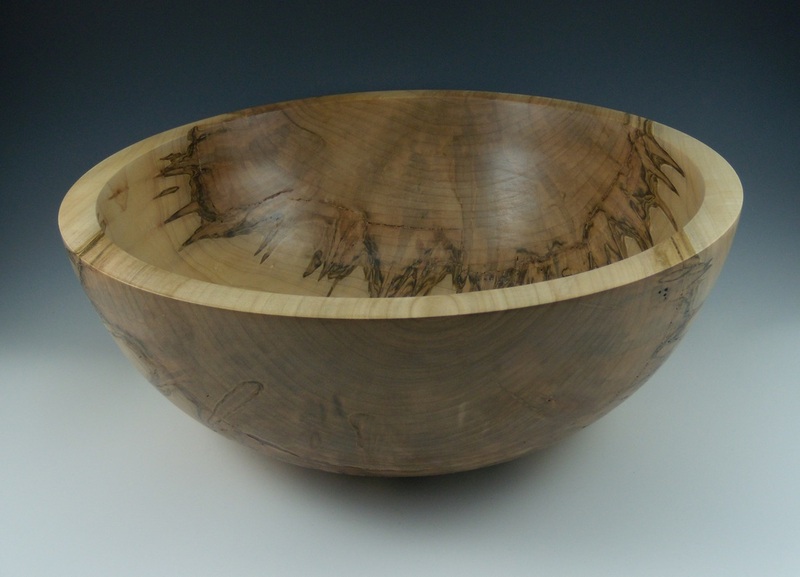 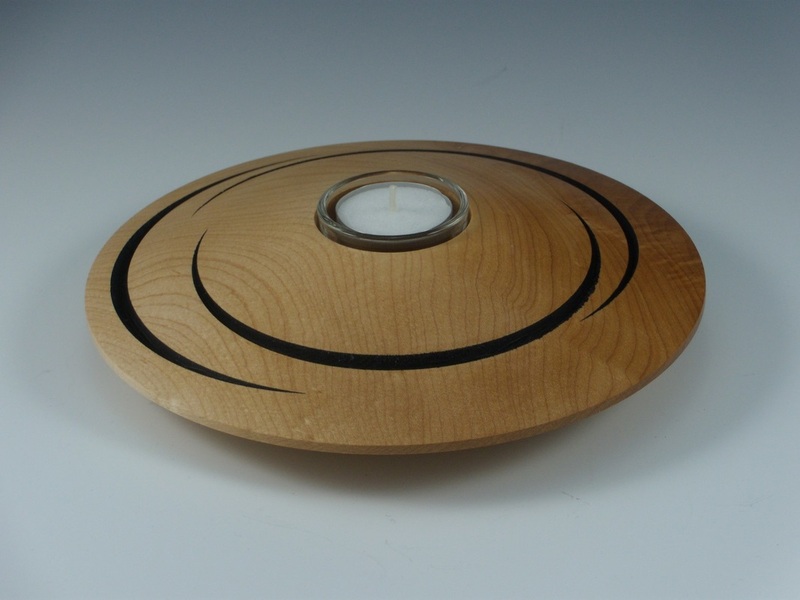 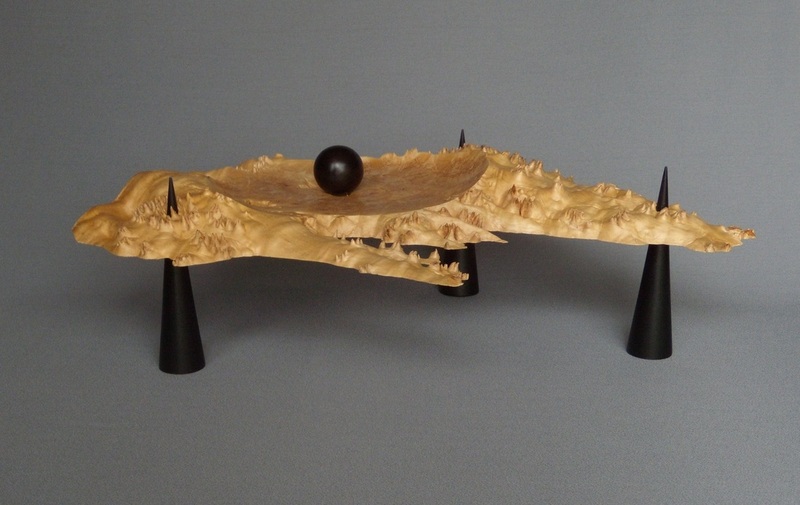 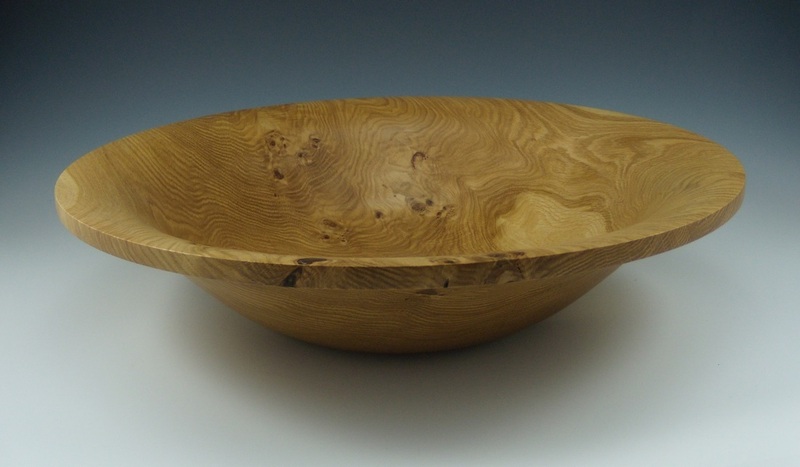 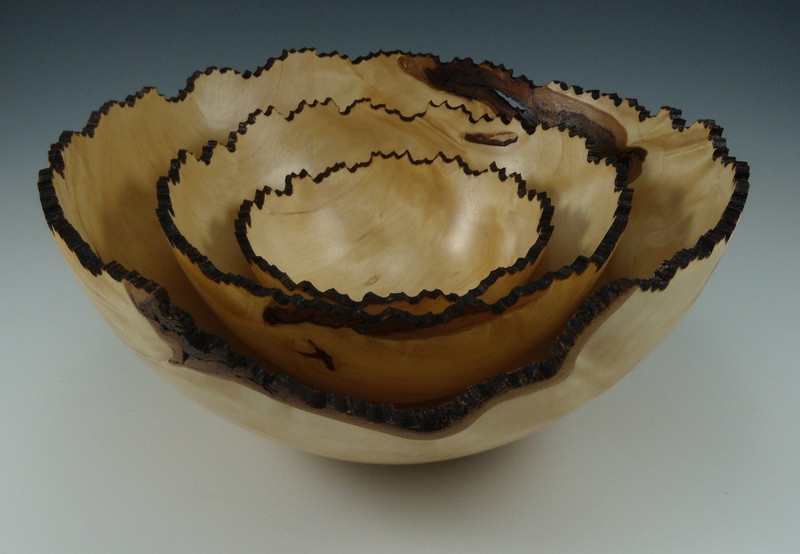 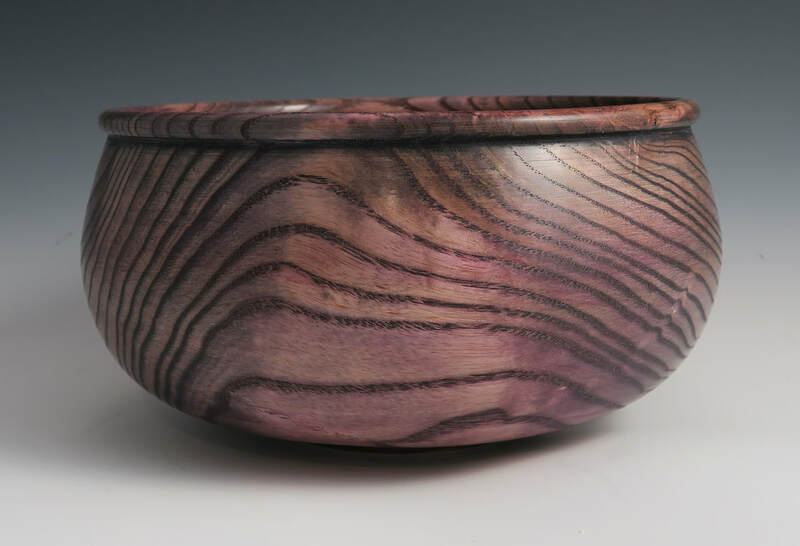 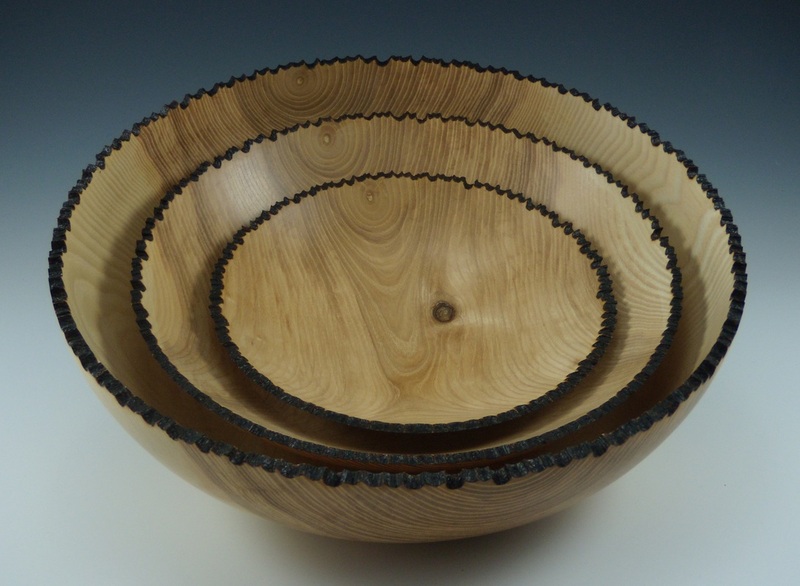 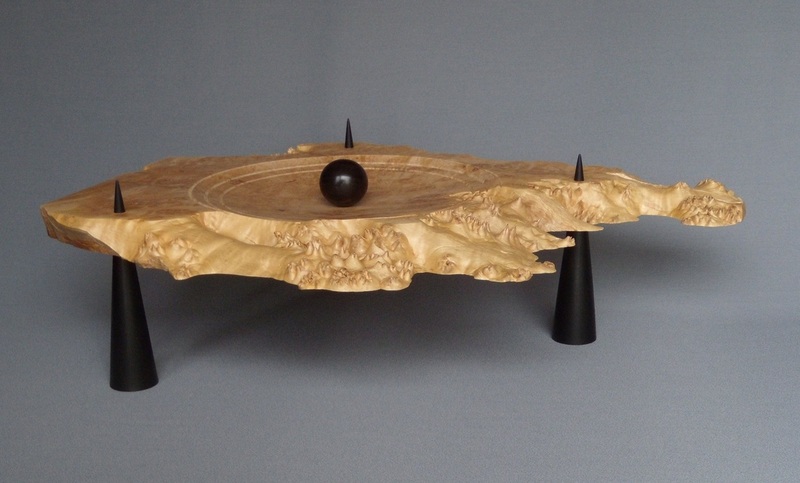 When turning bowls and other odd shapes it is wonderful to get my hands on local wood, particularly trees with burls on them. 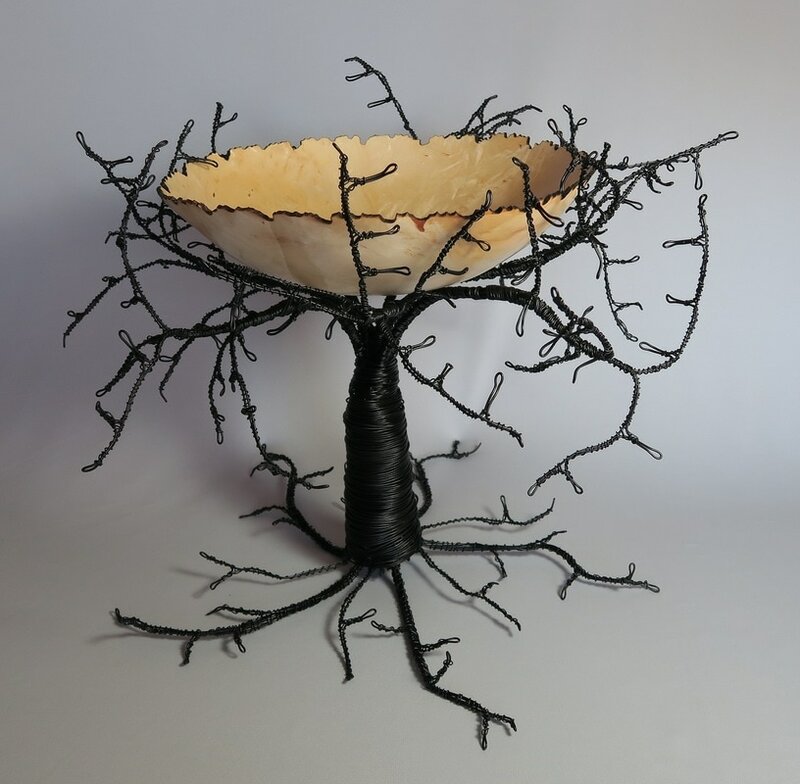 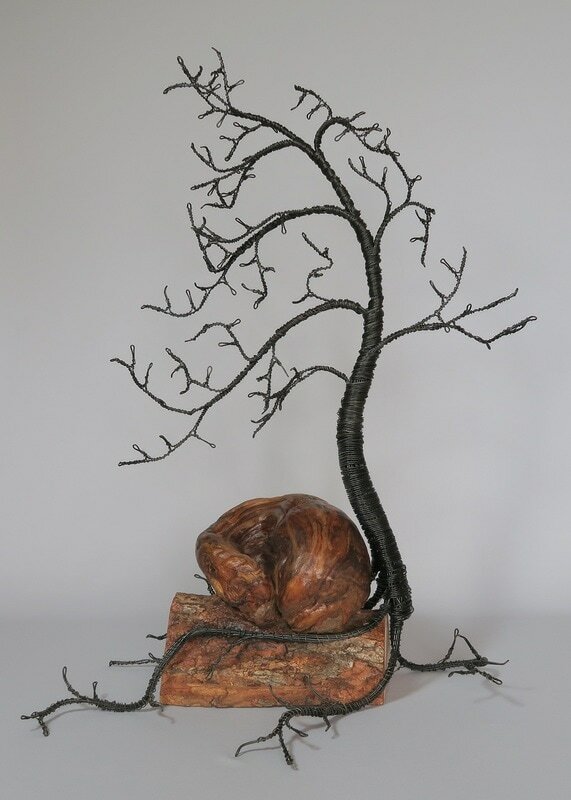 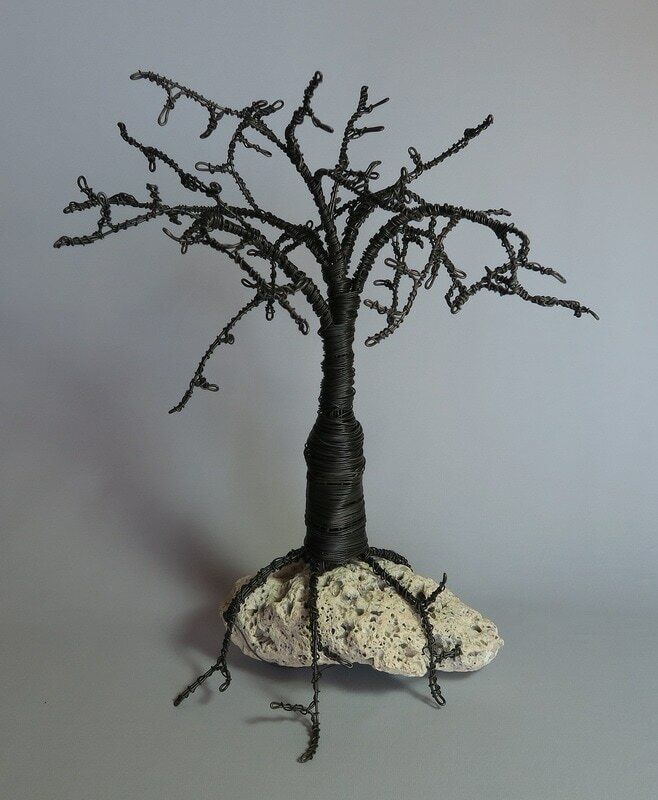 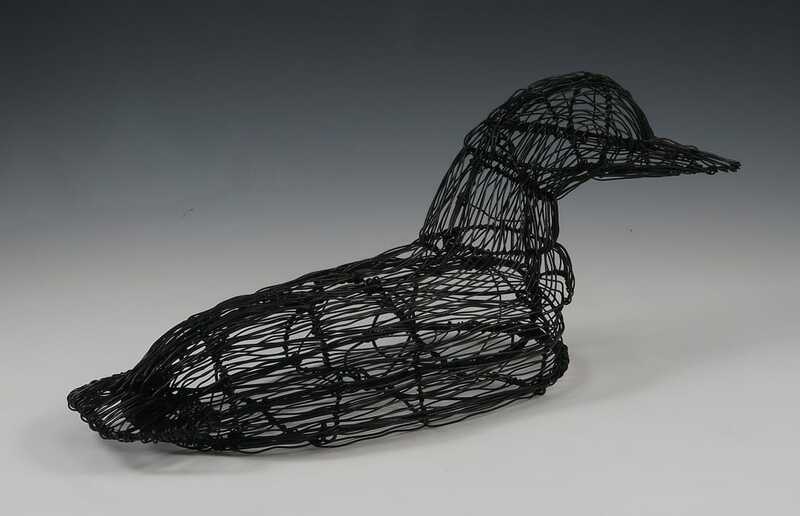 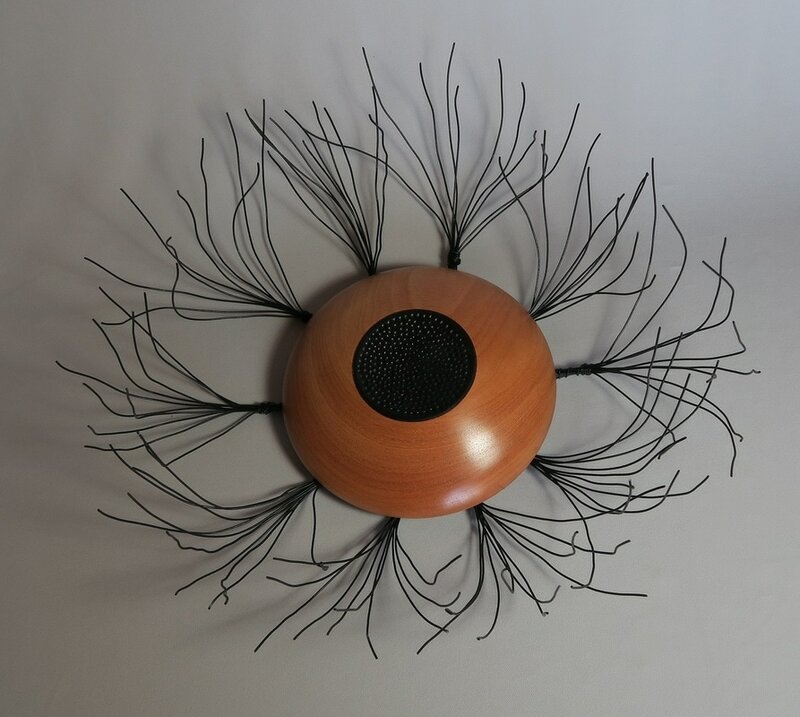 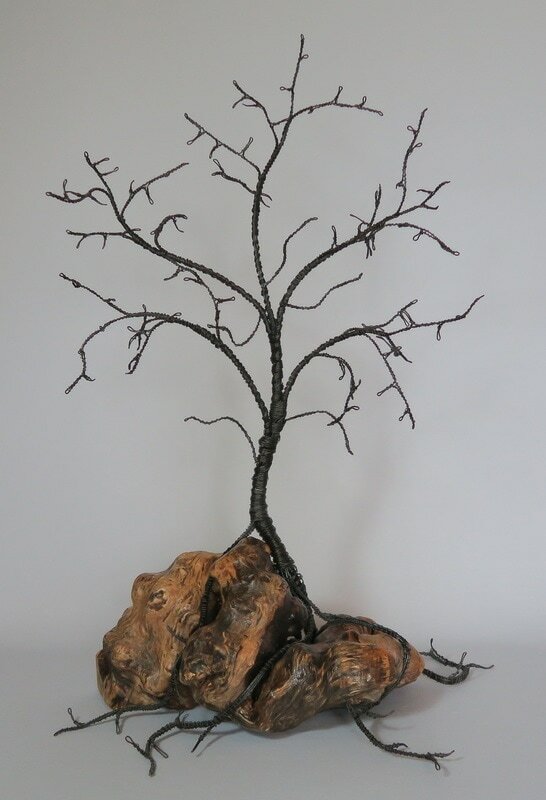 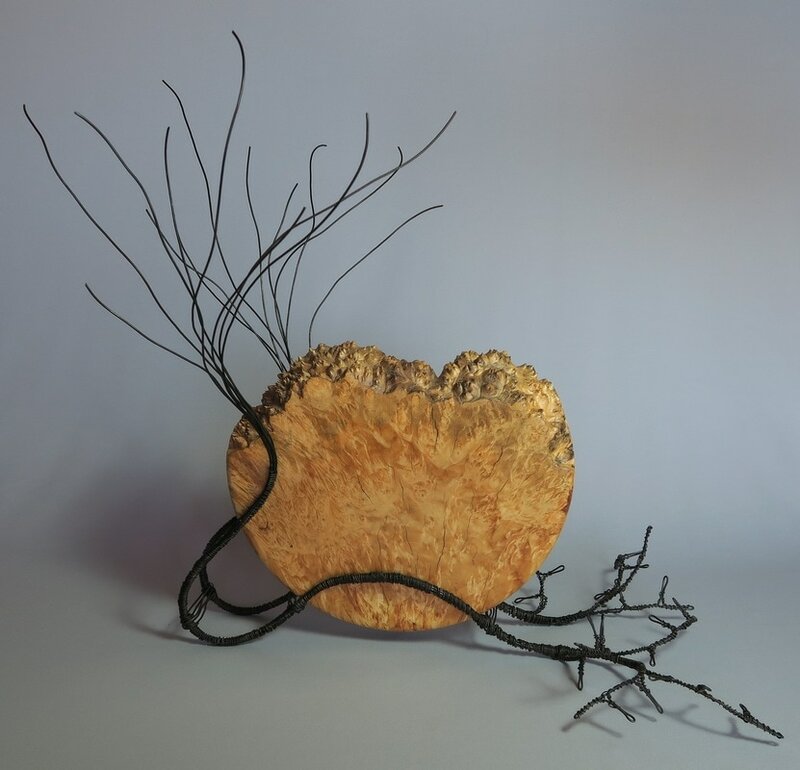 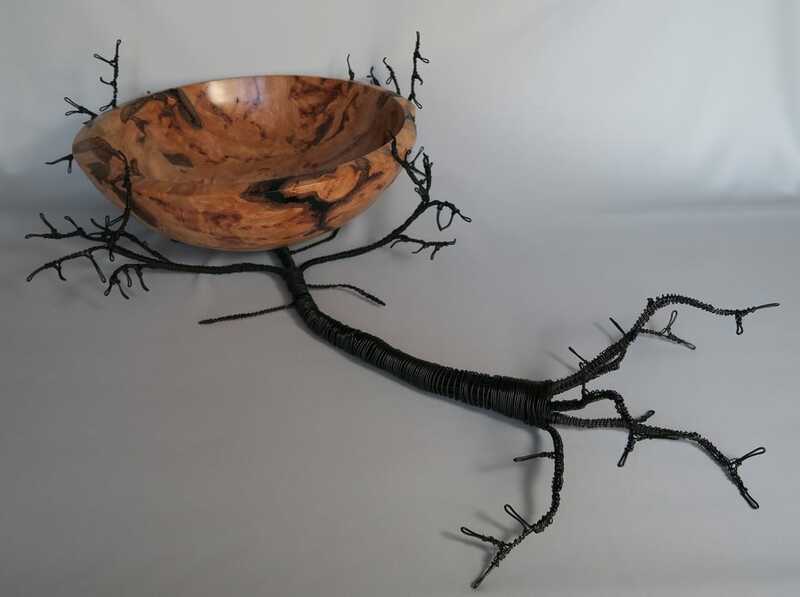 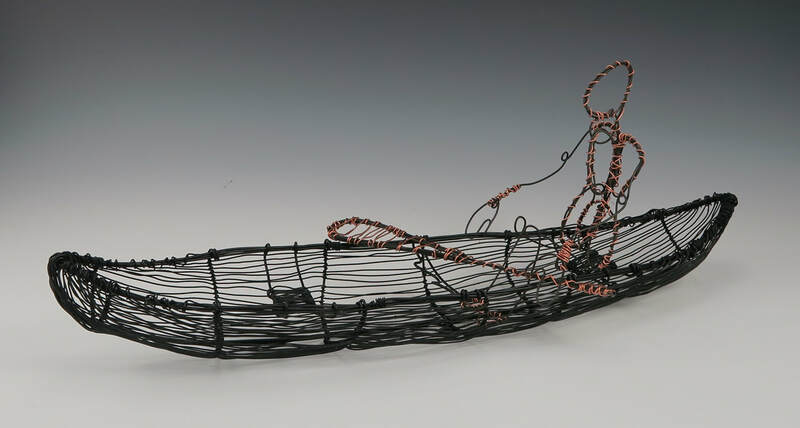 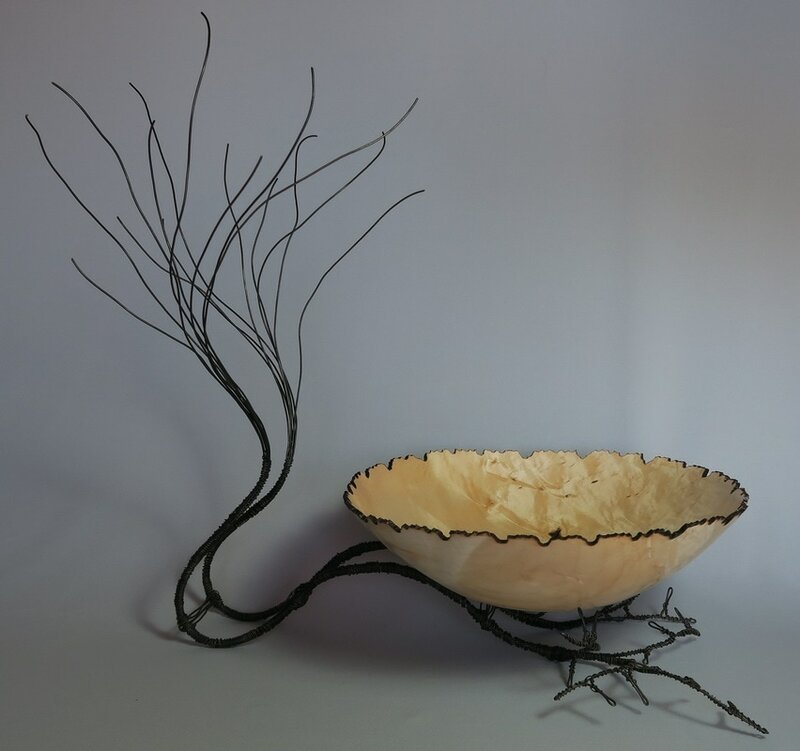 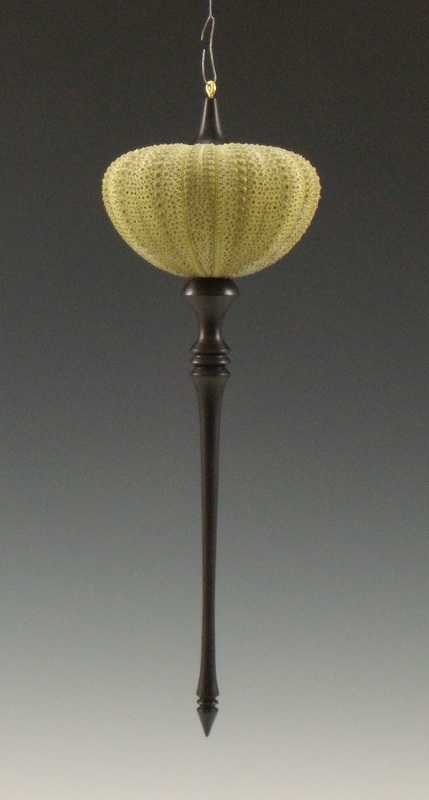 I have also started doing wire sculpture, some of which is incorporated into my turning, while other wire pieces are stand alone or mounted on burls. 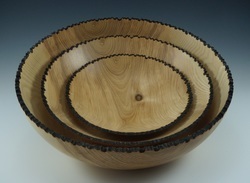 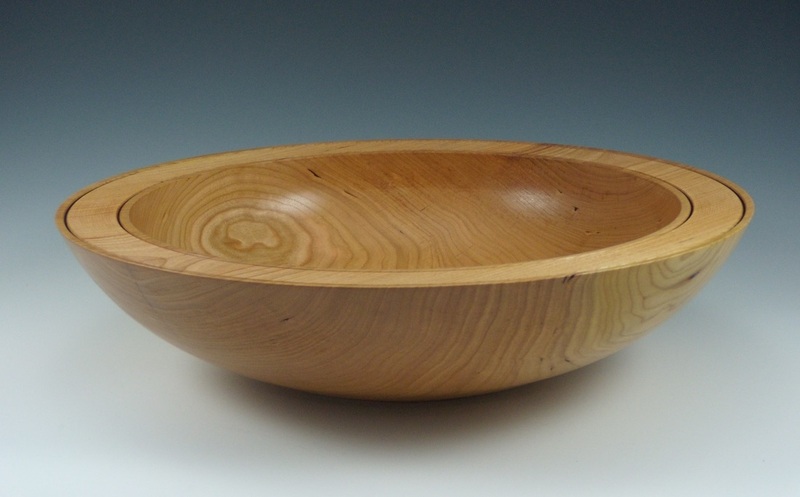 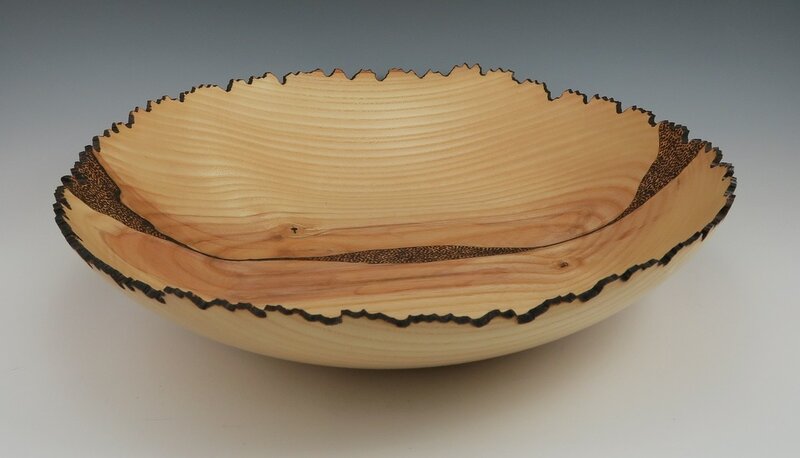 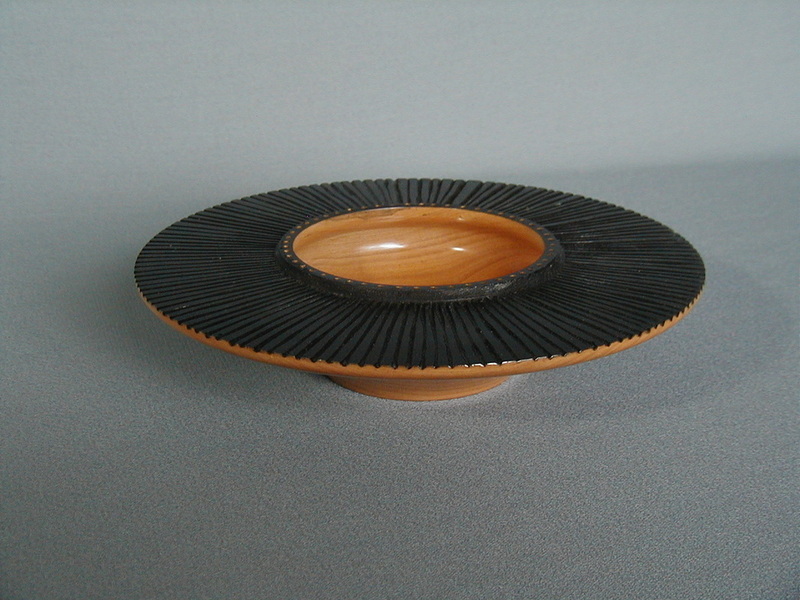 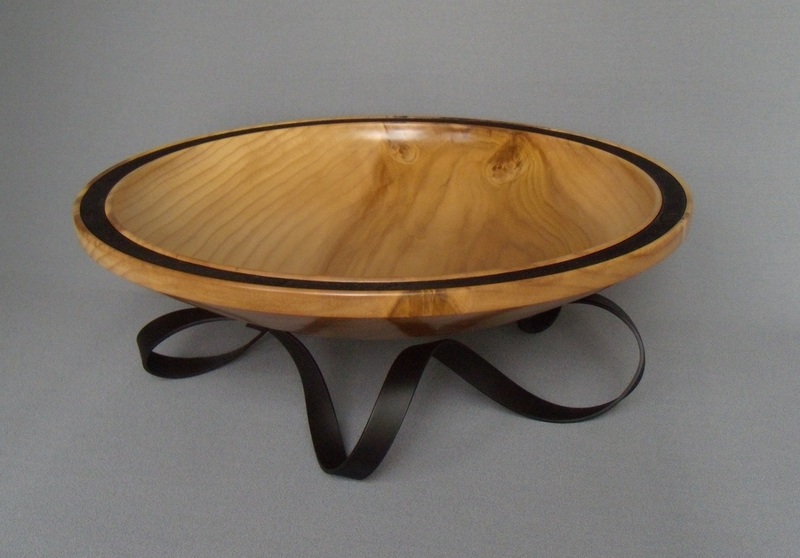 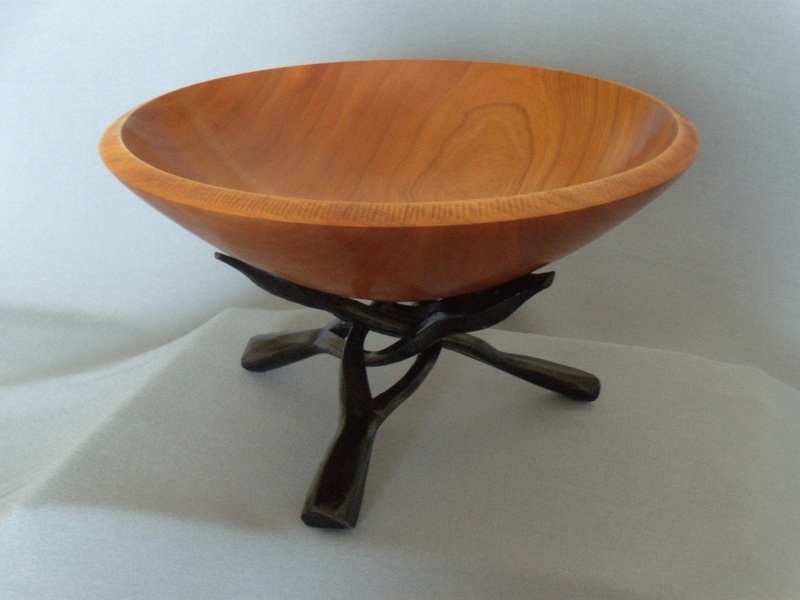 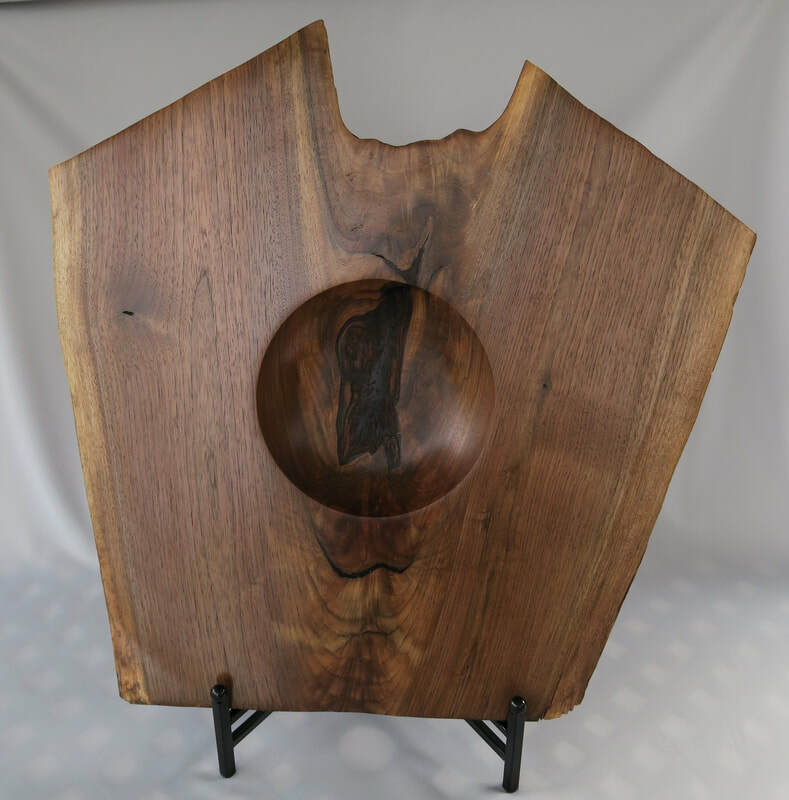 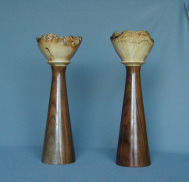 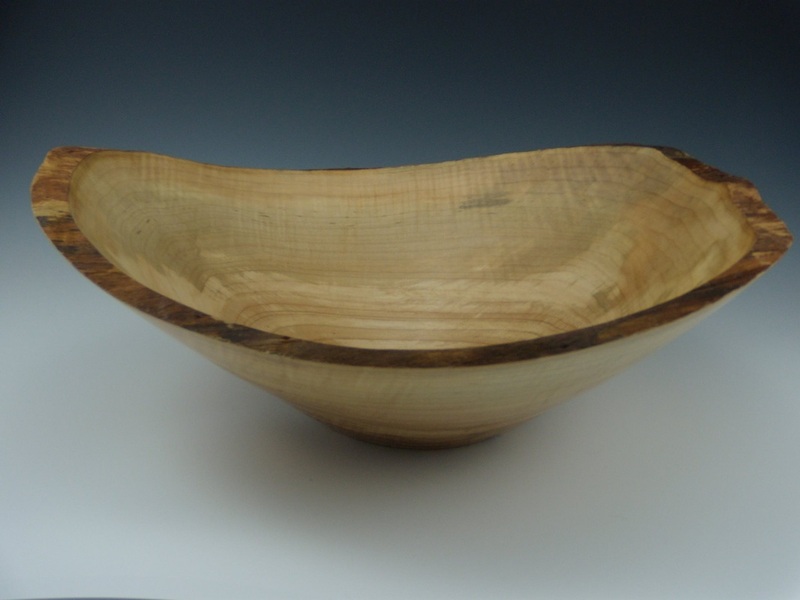 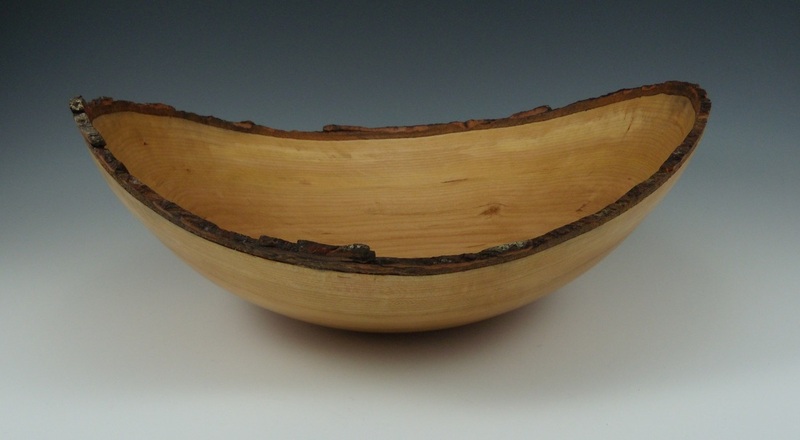 Traditional and functional bowls as well as live edge bowls continue to be a favorite among visitors to cottage county. 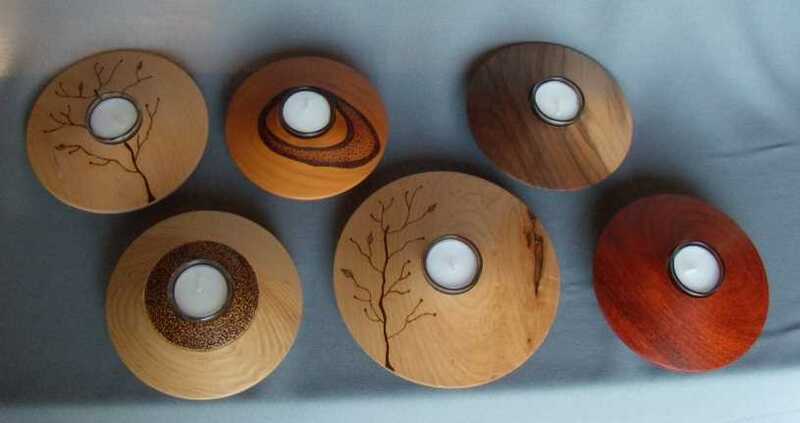 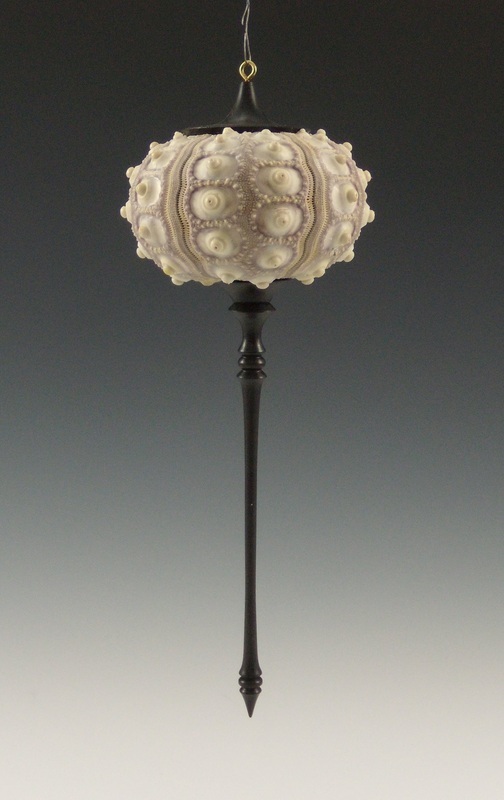 For the Christmas season, I often make up candle holders and tree ornaments. 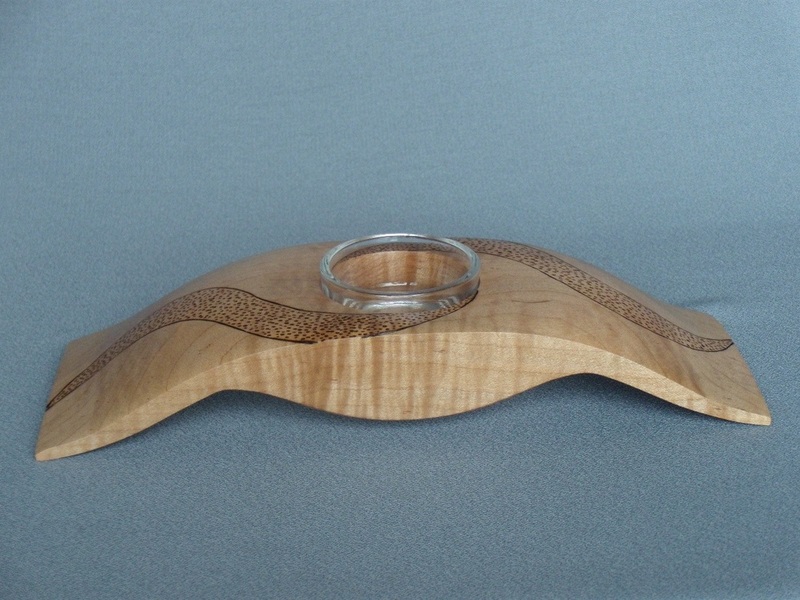 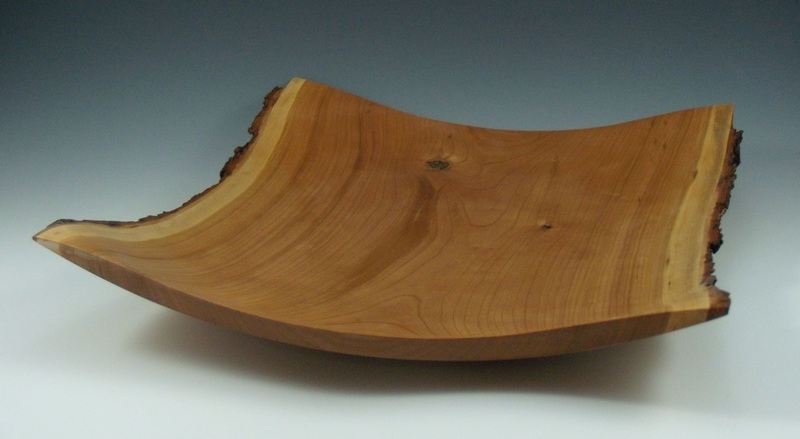 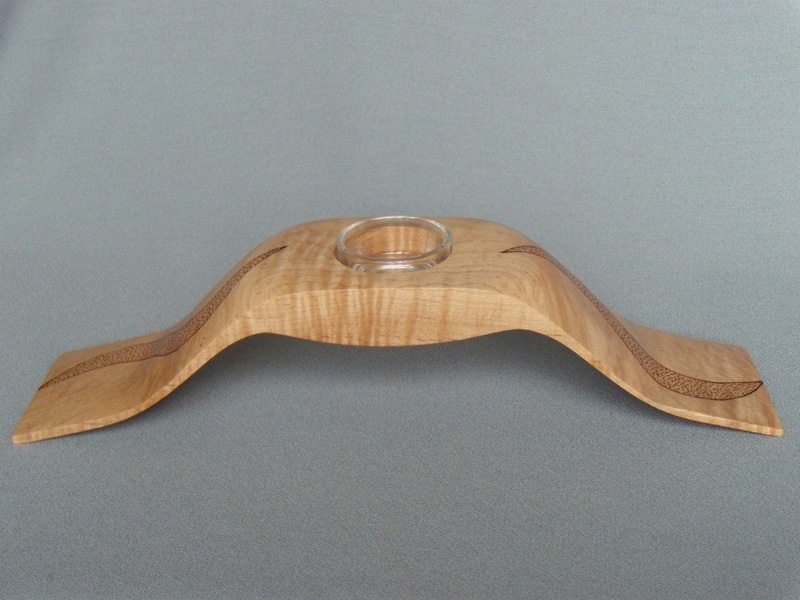 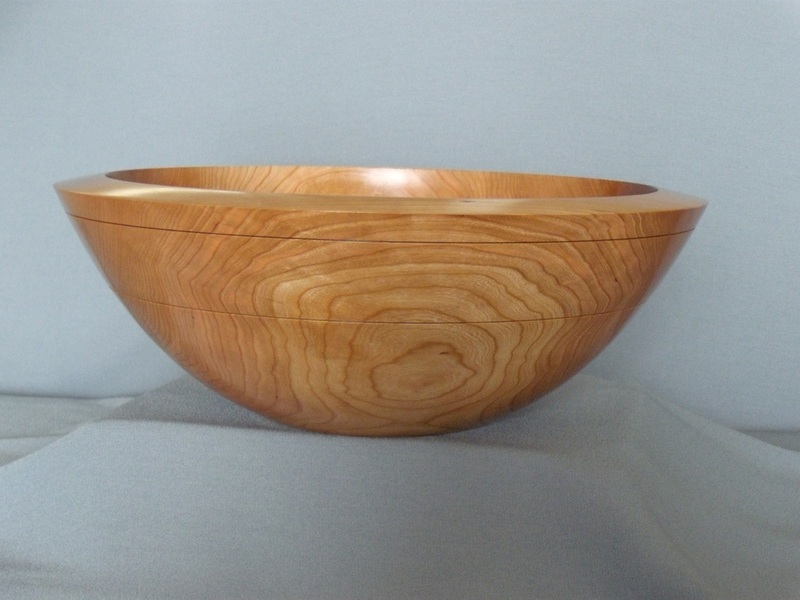 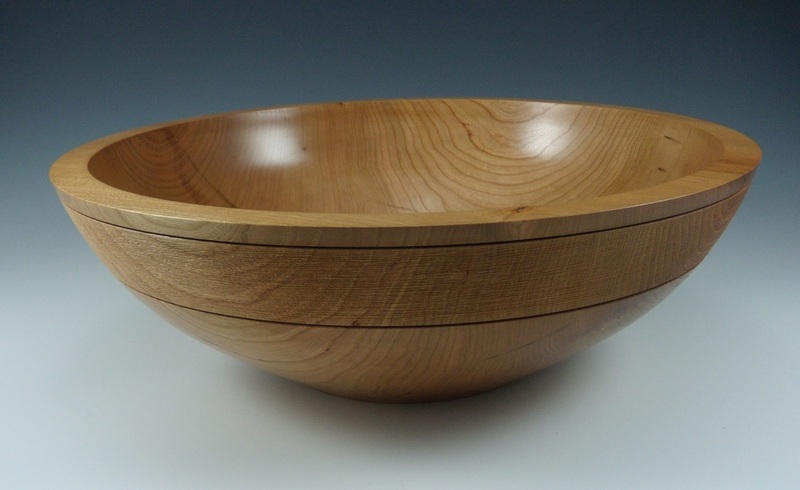 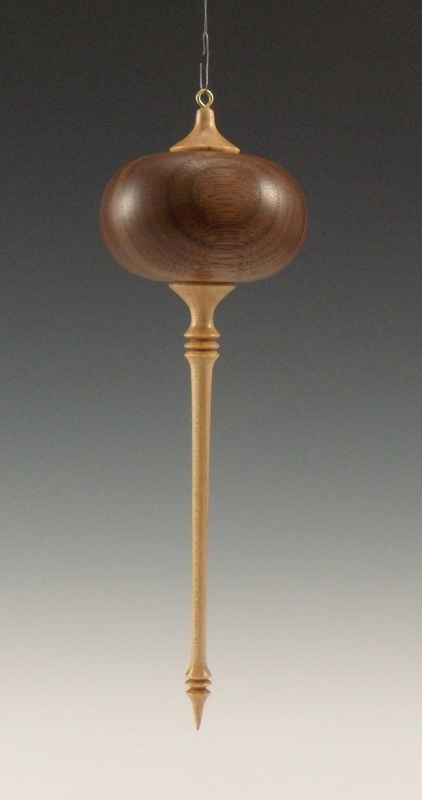 SOLD: Square bowl, cherry, 14"
SOLD: Figured maple, 13" x 3"x 3"